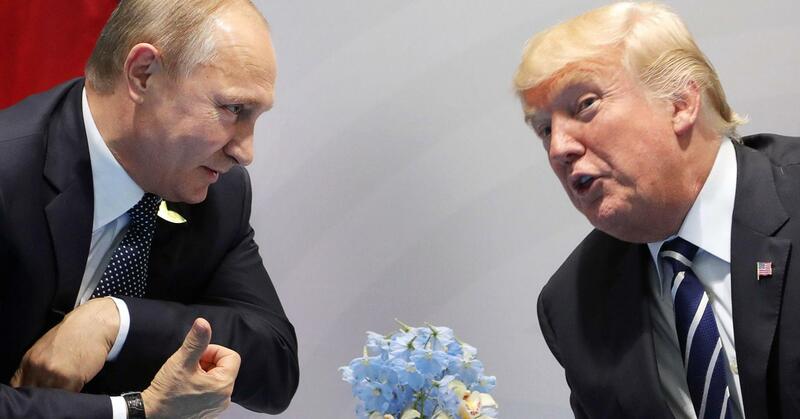 WASHINGTON: Vladimir Putin and Donald Trump discussed the crisis over North Korea’s nuclear program in a phone call Thursday, in which the US president took the unusual step of thanking his Russian counterpart for praising America’s economy. The two heads of state discussed “the situation in several crisis zones, with a focus on solving the nuclear issue on the Korean peninsula,” the Kremlin said in a statement, without elaborating. But Trump’s thanks to Putin took top billing in the US statement. “President Trump thanked President Putin for acknowledging America’s strong economic performance in his annual press conference,” it said. Special counsel Robert Mueller is currently investigating possible collusion between the Trump campaign and Moscow to tilt the White House race in his favour. Putin, in his annual press conference with hundreds of journalists in Moscow, welcomed the United States’ “awareness of reality” in the crisis. However, he called on all sides to “stop aggravating the situation” and said Moscow did not recognise North Korea’s status as a nuclear power.